In an online piece dated March 30, 2007, The Economist covers HP's (NYSE HPQ) Edgeline, as well as their HP Officejet Pro L7000 all-in-ones, Kodak's EasyShare 5000 series, and even the Silverbrook Memjet developments in a short but robust view of what's been a VERY ACTIVE first quarter of 2007 in the inkjet printing world. No one expects Silverbrook to go head-to head with HP, Canon, Epson or Lexmark. But if the Memjet technology is as good as the scuttlebutt suggests, it could easily be licensed to market heavyweights like Dell, Panasonic or Samsung. Kudos to the GreenPrint team for recognition by Gartner Group as one of the Cool Print Vendors for 2007! Regular readers may recognize the innovative printer-supplies-saving company from my Hard Copy Observer Observations column, in both February and March of this year. Added 5/2007 -- See the full report. My friend Vince Ferraro is thinking outside the box again over on the LaserJet Blog today. He's found an interesting Internet appliance called the Chumby and is envisioning printing opportunities in the future that might be driven by information coming into us from devices we're not thinking about today. His reference to driving directions brings to mind my post on the same subject from February, and how printing continues to evolve. As time goes along, we end up printing less of some things (when's the last inter-office memo you cranked out? ), but print more of things we can't even envision until suddenly they seem to become part of our everyday lives! Just a quick post for my readers to consider. While cruising around Wikipedia this morning for another reference, I found myself at "Printing" and saw this call for experts. So have at it, experts! Larry Magid has reviewed the HP OJ L7680 All-in-One, which is of course the companion product to the printer-only version exclusively at Staples, the HP OJ Pro K5400dn color inkjet printer. After working with this printer for several weeks, I must say I'm pretty impressed. Because of its speed and economy, I find myself using it instead of my laser printer. I also find myself using color where I once would have settled for black. So long Microsoft, hello Boise! Please indulge me in one last diversion from my usual printing and imaging beat, with this entry from my seminar circuit of last week, especially since it ties in so well to Boise's upcoming Kickstart event coming up April 18th and 19th. Rich Sloan, from Startupnation.com and our 2007 Kickstart keynoter, was joined by his brother Jeff, as they opened the last day of Microsoft's Small Business summit on Friday. The Sloan brothers described their "10 Steps to Start a Business" for the Microsoft seminar attendees. They shared lots of very practical tips that add up to great insight -- and on April 18th Rich is sure to hit on at least a few things that you haven't thought of if you're in the start-up phase of your entrepreneurial endeavors. It was one of the high points of the week, and when Rich visits Boise, he'll have much more time and will put on a great show, guaranteed! Guy Kawasaki "kicked off" the Microsoft seminar on Monday, and the Sloans closed it out Friday, so there's some great symmetry with Boise's Kickstart. Just like Guy's Kickstart keynote at the premier event in 2005, Rich Sloan will be offering a memorable event this coming April. Less than four weeks to go, and I can't wait. We'll see you there! In my old-school bias towards the traditional tech "print" press, it's finally about time some of them showed up! Of course I've already posted about what The Hard Copy Observer and Lyra Research have been all over, the Memjet/Silverbrook story, for two weeks now, and the bloggers have done what they're best at, PC Magazine is finally on the story today with a piece, "Stealth Inkjet Printer Startup Could Rock Industry". Nothing much new except for the quotes from the head man at Lyra, and we'll forgive that they mispelled the names of Lyra's Charley ("Charlie") LeCompte and Kia ("Kai") Silverbrook, but nonetheless old reliable "PC" provides a good update on this most fascinating story in our industry. 3/28 update -- Investors Business Daily has a story. This is the first we've seen analyst opinions from outside the house of Lyra. 3/30 update -- The Economist covers all the recent action in the inkjet market. 4/2 update -- Databazaar Blog, from "the country's largest independent online retailer for printer supplies", covers Memjet Silverbrook including an interview with their VP Marketing for Home and Office, Kim Beswick. 4/3 update -- Another blog post, no new info but a good summary from Consumer Electronics land at TWICE -- Memjet Cometh. From the horse's mouth so to speak! Antonio Rodriguez blogs about the acquisition and HP (NYSE HPQ) plans for the Tabblo technology. Exciting times to come! Here's a nice review/comparison of Tabblo from last month's USA Today by Jefferson Graham, although HP has much bigger (and different) plans for making Tabblo technology available to others' web sites. Stay tuned for more on this. "HP’s goal is to make printing content from the web the easiest and best experience possible for people – whether they are printing a simple map or a book of their favorite blogs,"said Vyomesh Joshi, executive vice president, Imaging and Printing Group, HP. "By acquiring Tabblo’s technology and making it available to companies that host popular websites, HP will be firmly on the path to becoming the print engine of the web." It's been an interesting and seemingly full year in the Printing and Imaging industry already -- can't wait for Spring, Summer and Fall! A little field work yesterday at my local Staples retail store revealed the HP OfficeJet Pro K5400dn color inkjet printer in stock (in its prominent front-of-the-store display) and still priced at $199.98, the "sale" price originally proffered in a sales flyer that indicating a two-week offer that ended March 17th. I've blogged about numerous times in the last few weeks. The HP (NYSE HPQ) and Staples (SPLS) exclusive printer has fallen off the Techbargains site -- I will ping them as to the ongoing availability at the old (really good!) price. 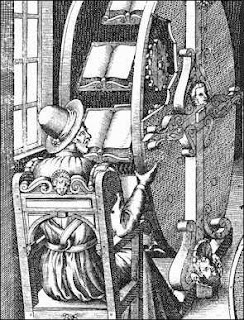 For some who think I pay too much attention to the history of the printer industry and not enough to the future, too bad, because here's one that goes WAY back! Thanks to my friends at Planet Printmode, who in turn sent me to the PrintCEO blog, who discovered this great site, Historical Print Shop, who sells prints REALLY OLD images, included the one highlighted above. This reference to the multiple links is in keeping with the spirit of the machine, which allowed the user to reference multiple open books at the same time (more or less) and proposed as an early precursor to hypertext, per the PrintCEO blog description. And also in that spirit of equating the past to the future -- I'll be blogging from the Web 2.0 Expo in mid-April! It's a multiple conference day for me today (Monday the 19th of March, 2007), and I hope my regular readers will forgive me as I divert from my normal printing and imaging beat to devote my personal attention to two (semi-)related topics of the two conferences, with a look ahead to a third event, the upcoming Kickstart entrepuenuer event in Boise on April 18th and 19th. First, I spent the morning at the Cendesic Findability SEO (Search Engine Optimization) Conference at Boise State University, co-sponsored by Balihoo and Blueline Grassroots Marketing. That conference covers the "how" side of what I do -- content creation (formerly known as writing) and especially blogging. I won't cover more about that here, though if my readers know what to look for they may see some results of my learnings in the near future. My next conference of the day is of the virtual variety, the Microsoft Small Business Summit, which I'm attending as an online participant. I'll be "there" all week, sporadically at least. I hope to gain insight on Small Business best practices from a distinguished series of practitioners assembled by Microsft and co-sponsored by Compusa, Visa, and Dell. Regular readers will know that like much of the economy, many printing and imaging trends are driven by innovative small businesses. These include HP's (NYSE HPQ) and others development of do-it-yourself marketing and Eastman Kodak Company's recent announcement of small business print outsourcing. Today's keynote is by none other than one of my favorite business writers and speakers (and bloggers), Guy Kawasaki. Guy's a long-time friend who was the also our original keynote speaker for the original Kickstart conference, in 2005. He's presenting an updated version of "The Art of the Start" titled "The Art of Innovation" and it's a classic Guy presentation, complete with a Top 10 list. He does his usual great job, though he's got less time for both the remarks and Q&A parts of his show. (He also seems a little less relaxed than he was at The Morrison Center two years ago, but maybe that's because he's in Redmond speaking at a Microsoft conference, a company he's been known to diss a little from time to time). Content includes his "DICEE" theory of what makes great products (deep, intelligent, complete, elegant, emotive), and his famous 10/20/30 rule for presentations. (That's 10 slides, 20 minutes, 30 point font. And I love a new twist on the latter from today's Q&A -- as a "pitcher" of a new company, your effective PowerPoint presentation just, best case, keeps you from being eliminated from the process, and not from breaking through for funding or whatever other form of acceptance or recognition you seek. That takes personal relationships and 1:1 time following the PowerPoint phase.) And the final key to the Art of Innovation -- don't let the bozos grind you down! A Great Monday start...and I'm looking ahead to Friday when The Sloan Brothers of Startupnation.com will present on the last day of the Summit. Coincidentally, Friday, and will be in Boise on April 17th on the first night of the Third Annual Kickstart! So don't miss them, live, in a month, at Kickstart! A colleague over at Printer Industry News specializes in corporate printing and especially the combination of products and services that's come to be called Managed Print Services. Ed Crowley of Photizo Group has an excellent post, from last Friday, calling for customer comments on just what MPS means in the real world. Busy Times at Eastman Kodak Company -- One post, Three stories! It's been a very busy 2007 for our printing and imaging industry so far, with Kodak (NYSE EK) doing more than its part to keep us feeling always a little bit behind in reporting and analyzing the various developments. So in the mode of catch-up here's a special "Three in One" update. First, going back to last month's dramatic inkjet photo printer (and all-in-one) announcement (see my February archives for numerous posts), the Kodak EasyShare printers are putatively making their way to market. Techbargains featured the EasyShare 5100 on March 8th at BestBuy, and Robert Mitchell in his Computerworld Blog points out (two days ago in fact) that the Best Buy web site is indicating the Kodak EasyShare 5100 printer as "sold out". (Verified by me today, that's how the site reads.) The Kodak EasyShare 5300 all-in-one is ready to be shipped from the BestBuy warehouse immediately, and the site says "available at most stores". Time for a field trip! (Of course these products for the time being anyway are available exclusively through BestBuy -- not counting the Kodak direct ecommerce site. Seems these exclusives, ala the Staples arrangement with the HP OfficeJet Pro K5400dn color inkjet printer, are becoming popular! And the Kodak blog fairies or at least Animaxent, the agency that sponsors them along with the "inkisit" web site, got me again this week! Second, on to some activity in the Small Business "do it yourself marketing" area, another one of my favorite developing markets. Kodak announced on Tuesday that they're offering quick turnaround marketing materials in the style of photofinishing services. At first glance this appears at odds with the true DIY mode of doing short-run print jobs on a desktop color laser printer, but actually it might be a good complementary service. This is assuming the focus (as it appears from the website) is on hard-to-finish items like booklets and calendars, leaving the simpler letter-size flyers, for example, to the desktop laser. And third and last, Kodak has re-structured its organization chart. Now the bulk of the company , everything but the film division, reports to a Chief Operating Office comprised of ex-HP (NYSE HPQ) printer executives Phil Faraci and Jim Langley, who in return report to (also ex-HP) Chairman and CEO Antonio Perez. I don't know if that's classified as a friendly or an unfriendly "takeover", but it's definitely the creation of the ever-popular "two-in-a-box" management structure. Vince Ferraro's LaserJet blog has been busy lately, at least going by the comments section of his post "New driver solves Vista printing problems for LaserJets". A couple of weeks ago, I posted about Vista issues generally and Vince's offer to help LaserJet customers, holding this up as an example of vendors other than Microsoft being proactive in helping their customers through the Vista transition. And maybe things are getting better all over? My totally unscientific "Google News Index" had 815 hits for "Vista Bugs" on February 27th, but it's down to "about 406" occurrences this morning! As noted in my monthly column, I am fascinated by any company in any industry, big or small, that identifies an unmet user need or customer pain point and then develops a product or solution to address that need. GreenPrint’s discovery was the wasteful printing of extra, nearly blank Web pages, something that has been accepted for too long among the printing user community. This issue is one that neither hardware nor software vendors have managed to address satisfactorily but that GreenPrint’s software utility aptly takes on. A broader but related issue that has long been a sore point for customers and a business opportunity for enterprising companies is the cost of printing. 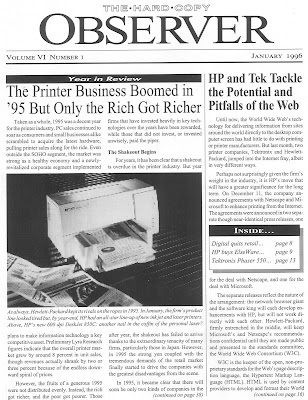 Back in 1991, the premier issue of The Hard Copy Observer featured stories about third-party laser printer toner suppliers (Observer, 10/91). Before that, when the first HP LaserJet shipped in 1984, refillers were quick to attack the firm's supplies pricing strategy, and, truth be known, the copier industry ecosystem included third-party toner suppliers for at least two decades before that. But what about more systematic efforts beyond simply reducing the cost per toner particle and ink jet droplet? I have first-hand knowledge of HP's (NYSE: HPQ) effort to conserve supplies usage by introducing an "economode" on the HP LaserJet 4L in May 1993 (Observer, 5/93). The initiative was driven by the realization that customers want to produce cost-effective drafts or other short-lived documents that do not have to be beautiful and pristine. Other vendors followed suit with hardware and software solutions such as n-up functionality, which saves paper in similar draft applications. To be complete, I should also include the long-standing Microsoft PowerPoint "handouts" mode that saves ink, toner, and paper and lightens the load on presentation attendees. And there have been other angles. In 2001, Carly Fiorina, then CEO of HP, was queried by security analysts in a quarterly earnings conference call about an initiative by General Electric (GE) to "digitize everything" and thus take direct aim at printing costs (Observer, 6/01). GE’s initiative sought to address the high cost and low efficiency of paper-based processes with changes such as more electronic distribution of documents and manuals. Fiorina was confident at the time and said, “The reality, frankly, that we see is that more people are printing more today than ever,” a sentiment that could just as easily have been heard at the 2007 Lyra Imaging Symposium. It is interesting how initiatives like GE's often get lots of attention at the start but are rarely followed up with additional coverage. Speaking of the Symposium, the data presented by Lyra analysts and industry executives shows that the printing and supplies markets continue to grow in consumer and commercial settings. However, one would be naïve to think that the corporate world depends on paper-based processes as much as it once did. Rather printing has changed from knowledge workers printing stacks of e-mail to printing resource materials from Web browsers. GreenPrint's sales funnel for the enterprise version of its software is strong evidence of the movement to reduce printing in its new forms. According to Hayden Hamilton, CEO of GreenPrint, a laundry list of household corporate names comprise GreenPrint's enterprise sales funnel, and each of these claim user "seats" in the five- or six-digit range. The firm's increased visibility reflects the influence of the Wall Street Journal's Walter Mossberg and his affinity for products that solve real user problems. Following his December 2006 review, GreenPrint has been besieged with corporate interest, in addition to queries and downloads by end users. While not yet ready to announce any corporate megadeals, GreenPrint has announced an agreement with Portland State University, which plans to use the GreenPrint solution to reduce its 32 million annual pages of print. Once again, finding a user need and addressing it, if done simply and elegantly, offers a company a very good chance for success in the printing industry or any other. GreenPrint's journey along its "green" course bears watching in the future. On the worldwide technology trade show circuit, the largest of them all is the CeBIT show in Hannover, Germany, traditionally held in mid-March. I haven't attended for years, but I was at one time a regular, including the very last year (1985) of tech's inclusion as part of Hannover Fair, the world's largest industrial show. Yes, 20 years ago, you could see PCs and backhoes at the same show! Since then CeBIT has prospered for the most part, and even now, with its IT-only focus, it's grown to an ungainly size and then started to suddenly shrink, which some would point to as the beginning of the end in the trade show lifecycle. (See my musings on Comdex, CES, etc, from last year in Obituary for the Trade Show?) Colleague Oliver Fritsch blogs about his views, from reading the local press in his native German about near-giveaway tickets and available hotel rooms in Hanover on the eve of the show, an all-time first. My first visit, in the mid-80's, found me staying in Bremen, some 100 km away! Last year, Jim Lyons wrote a special column titled “A Tale of Two Conferences” that compared and contrasted the 2006 Lyra Imaging Symposium and Demo 2006 (Observer, 3/06). In this article, he revisits this topic after attending the 2007 versions of both events. Before discussing some of the interesting confluences between the 2007 Lyra Imaging Symposium and Demo 2007, let us take a brief look back at 2006. In my March 2006 column, I pointed out the clear differences between the two events in terms of their target audiences, technology and market scope, and presentation format. Despite the differences, I was able to find many points of commonality. For example, several of the 2006 Lyra Imaging Symposium presentations identified end-user issues and opportunities in the global printing and imaging market, and some exhibitors at Demo 2006 addressed these same user needs with specific products and services. In 2006, both Riya and Sharpcast took steps to alleviate the end-user pain associated with the disorganized morass of digital photos being captured. Directly related to printing, one of the consensus hits of Demo 2006 was Blurb, a physical bookmaking service that was just getting started on its venture to create books from blogs. Another company called Smilebox captured my attention by straddling the physical and ethereal worlds and specializing in greeting card and scrapbook design and printing. This year, Demo 2007 and the 2007 Lyra Imaging Symposium were held during the same week at the end of January just down the road from each other. Not long after hearing a stimulating Lyra Imaging Symposium presentation on personal bookmaking by Frank Cost, associate dean of the College of Imaging Arts and Sciences and codirector of the Printing Industry Center at Rochester Institute of Technology, I arrived at Demo to find a particularly relevant demonstration by SharedBook. Based in New York City, SharedBook was similar to Blurb at last year’s Demo in that the firm succeeded in getting the Web-2.0-oriented Demo audience thinking about, at least briefly, actual physical books. The idea of pulling Web content into something that can be created in physical form inspired another company at Demo 2007: ink2. The company offers a Web-based service, also named ink2, that enables users to produce print-on-demand greeting cards and products using images from the Web. The company does have a link to the Lyra Imaging Symposium, albeit an older one: ink2’s parent company is Touchpoint, a company founded in 1999 that found success taking greeting-card orders via the Web and delivering the cards via hard copy. Touchpoint’s personalized print-on-demand greeting cards made it to the Lyra Imaging Symposium stage in 2002, when Benny Landa, Indigo CEO (and soon-to-be HP employee), touted Touchpoint’s cards as part of the overall “killer app” solution that personalization represented and that digital typesetters enabled (Observer, 2/02). Touchpoint was an early Indigo digital press customer and remains an HP Indigo customer (along with ink2) today. Preclick Corporation was a demonstrator back on the photo-sharing stump this year. (Of course, these days, video and music sharing also get lots of attention at Demo.) The company has experience as a software supplier to photo-printing Web sites such as Costco, HP, and Wal-Mart. Preclick announced its Preclick Instant Photo Messenger (IPM), which aspires to solve photo-sharing issues that arise from the use of multiple e-mail and instant messaging methods. Preclick infused its presentation (and its value proposition) with the importance of printing for both end users and industry intermediaries, including manufacturers and resellers, in the whole photo-sharing equation. To highlight this point, Preclick included a giveaway of 3M Post-it photo-card kits as part of its individual presentations. In most years, Preclick’s presentation would be about as close as you can get to hearing about printing, especially personal printing, at the Demo conference, but Demo 2007 proved different from previous conferences in this respect. One of the big stories of the first day was Zink Imaging, a company that demonstrated a real live printer product on the main stage, and Zink’s new printing products feature radical technology and designs to boot. The company had some fundamental advantages in wooing the audience, at least based on the observations of this ongoing Demo attendee. Being one of the first presenters on day one helped, and Zink featured a “gadget” among the sea of Web 2.0, social networking, and/or multimedia-sharing products and services at Demo 2007. After all, this is the conference that premiered historically significant devices such as the Palm Pilot and Tivo. Paul Baker, vice president of business development for Zink, and Stephen Herchen, Zink CTO, were clearly favorites among the Demo crowd, and this popularity was made evident at the closing banquet when a video featuring a number of the Demo companies drew spontaneous applause when it focused briefly on the Zink demonstrators. In an ambitious attempt to rank all the Demo products and services, several blog postings at the venture-capital-oriented Deal Blogs (www.thedealblogs.com) ranked Zink’s printers among the top ten most important announcements of the show. Frankly, the Zink prototype printers’ specifications are not particularly impressive on a speeds-and-feeds basis. The printers’ cost, quality, and speed are about what we have come to expect for traditional ink jet photo printers. But the prototypes that Zink displayed, an iPod-sized portable printer and an integrated camera/printer, are stunning, and the fact that the printers eliminate ink cartridges with heat-activated dye crystals embedded in special paper plays well both as the firm’s purported means to miniaturization and as a means of addressing end users’ concerns about the high cost of ink. Although Zink’s machines are still dependent on special paper as a supply, at least some users and journalists value the machines’ “Zero Ink” approach. I asked myself why Zink chose to announce its new printers at a conference like Demo, with its more general-interest audience, as opposed to Kodak’s bet-the-company photo ink jet printer announcement on February 6, for which the firm rented Studio 8H at NBC in New York City. One advantage of Kodak’s industry-focused introduction can be found in the timing of the two firms’ coverage in The Hard Copy Observer. By working inside the printer industry, Kodak’s announcement was covered in the February 2006 issue, while Zink will be covered in the April issue, even though Zink officially announced its products a week earlier than Kodak. The choice to go mainstream, however, does represent a very interesting marketing statement and ties back to the 2007 Lyra Imaging Symposium and the presentations that included forecasts for prints from digital still cameras and camera phones. For years now, our industry has extolled the potential for printing more of these captured images once people figure out how to get the photos out of their cameras. In the simplest of marketing truisms, fewer steps always beat more steps when it comes to user adoption, so a printer in a camera makes more sense than a multidevice system. When someone can easily print their photos with a tiny printer inside the camera and printing becomes the preferred method for people to get photos out of their cameras, we may really have something. I leave the last statement a little open-ended because Zink has lots of work ahead, not the least of which is recruiting capable partners to get a product to market. I will be keeping my eye on the company, however, and will update readers on Zink’s progress in the future. As regular readers know, I've been blogging lots about the HP OfficeJet K5400DN inkjet printer recently. I was motivated to serve my printer-oriented readership with multiple posts when I found that Staples' exclusive arrangement with HP (NYSE HPQ) meant that the product was under-covered in terms of information and reviews, at least relative to what we've become used to in our information-rich environment these days. So, here's really the first true review that I've found, from the UK Version of PC Magazine. As these things go, pretty positive I'd have to say, with a across-the-board 7.0 (out of 10) score on factors including Service and Support, Design, Features, and Performance. BTW the UK price of £115 converts to $222 USD, or about a 11% premium over the Staples US Price of $199.98. And proving that we do our best to keep current in this blog, the review is dated March 13, 2007! HP (NYSE HPQ) made some news yesterday with an announcement about their new HP Compaq PCs that conform to the U.S. Environmental Protection Agency's Energy Star 4.0 regulations, which go into effect on July 20, 2007. But what about Green Printers? Regular readers of this column and Lyra's The Hard Copy Observer will remember that I wrote a column about a company (and product) named GreenPrint just recently, but that's about a "different" green -- using less paper and other supplies (ink and toner) when printing. But a campaign to reduce the number of computer printers in the building -- thereby saving on paper, electricity and cartridges -- is evident only to the employees who have given up the luxury of printing documents at their desks. This year, other duties call and I'm sitting out PMA (the Photo Marketing Association's annual show). Even though Vegas is not all that far away, I wasn't able to figure out how to be two (or three or ...) places at once. 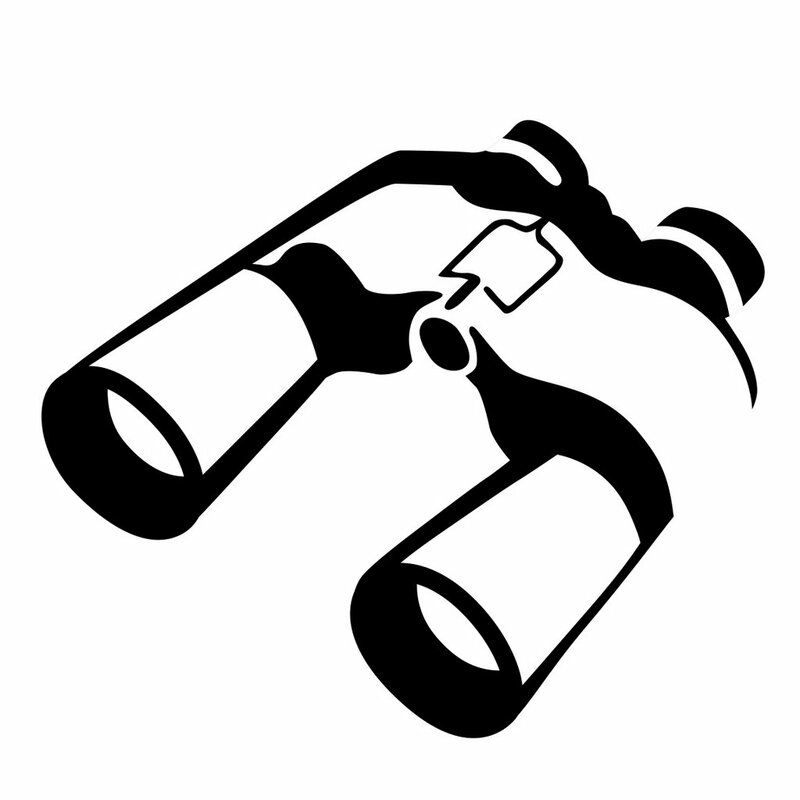 Anyway, I'm keeping on eye on goings-on via my trusted friend, the WW Web. This morning, an entry into Google News yields 98 hits for "PMA Printers" and a quick scan of the articles reveals the usual suspects, including Xerox, Kodak, HP, Canon, Olympus, Epson, etc. I'll keep reading and maybe find something especially interesting. Headline of the show so far goes to CNET, for the story on HP's color matching announcement: "HP technology aims to capture true 'Shrek' green". They seem to visit in the middle of the night, at least Mountain Standard Time's middle of the night. And they don't stay for long -- just enough time to leave a short blog comment promoting Eastman Kodak Company's new inkjet printers, announced just a month ago yesterday. They don't even have time to read the post, apparently. Last week I highlighted a Forbes piece all about Kodak's strategy with their new printers -- and "Cameron" commented, a few days later, that "Kodak is launching a new printer, as part of it's (sic) new strategy, check out www.inkisit.com". Patrick Hoffman at eWeek.com takes on a big enterprise-oriented question in a piece titled "Are Universal Print Drivers a Competitive Advantage for HP?" that quotes two well-known industry analysts (Peter Grant of Gartner and Keith Kmetz of IDC) along with HP (NYSE HPQ) Marketing VP Vince Ferraro. The conclusion is that the answer to the question asked in the title in "yes", HP's universal drivers give HP a leg up in enterprise (corporate) accounts tasked with supporting hundreds of different printers in various operating environments. HP has a large advantage on this front, compared to competitors Xerox, Lexmark, Canon, Epson, and Dell. As I look around my offices, while not what most would classify as an "enterprise", I certainly can relate to the difficulty of keeping many devices working on multiple computers, especially when they all require unique driver software. Vince Ferraro, btw, has blogged on the subject of Universal Print Drivers recently. Here's one for all of us printer enthusiasts. Nick Gonzalez at TechCrunch reports on Scribd (that's not a typo) getting venture funding and also provides a nice description. This is definitely worth a try! 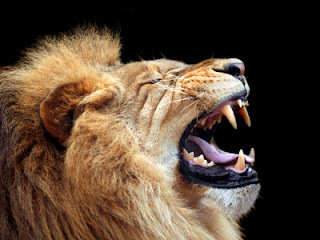 You can too at http://www.scribd.com/. I continue to receive hundreds of visitors each day looking for more information on the HP OfficeJet Pro K5400dn color inkjet printer, the product HP and Staples are offering to US buyers for the compelling price of $199.98. Due to its "newness" and the exclusive HP (NYSE HPQ) arrangement with Staples (NASDAQ SPLS), reviews and other product information are scarce, so I've been doing my best to provide a clearing house of links to information I can find. As I mentioned in an earlier post, the K5400 series of printers is designed to replace the venerable K550 family of inkjet printers, but like its predecessors, it's positioned as a cost-effective alternative to color laser printers. None other than HP, at the The HP LaserJet blog by Vince Ferraro, offers a comparison between the K550 and color lasers, from January of this year. HP should know as they lead the market in both categories. Buyers want the HP OJ Pro K5400DN inkjet printer! I've posted every day since Friday about the new HP OfficeJet Pro K5400DN inkjet printer, the printer manufactured by HP (NYSE HPQ) and sold by Staples (NASDAQ SPLS) (in an exclusive arrangement) just available at the great price of $199.98. While this is a news-and-analysis blog I felt I owed my readers some guidance, especially since I was the only English-language web site that came up when Googling for "HP OJ Pro K5400DN inkjet printer"! I have tried to provide a service by helping people that found my blog at least get to some minimal spec-and-review type info on the printer. Potential buyers have FLOCKED to my blog, about 500 since my first post on Friday, seeking information. Thanks readers and hope you got some help! I'll continue to follow the saga! A little more web-crawling led me to this Gartner Group summary of the new HP OfficeJet printer family (including the HP OJ Pro K5400dn color inkjet printer being offered exclusively at Staples in the US). Like the analysis in "The Hard Copy Observer" (published by Lyra Research) I mentioned in one of yesterday's posts, Gartner's note is geared to the industry, but potential customers may find it helpful too. "Shake-Free Printer" -- Exclusive to Staples! Here's a little more scoop on the HP OfficeJet Pro K5400 inket printer (aka OJ K5400) from a source in Singapore, the PC Pro web site (thanks Snap.com!). The headline is "HP's new shake-free business printers" and does anyone besides me find this a delightful coincidence? The point is that this is the printer being sold exclusively in the US by Staples, who brought us the popular and hilarious "Just Shake It" TV commercial recently? Yesterday, I wrote a short post about an email I received from Staples (that's right, I received this special email along with their 3 million other closest friends). Well, I've had some of my heaviest blog traffic ever since then, with numerous keyword searches on "HP OJ Pro K5400dn color inkjet printer" through Google and other sources leading to my blog. And although I'm primarily a "business and marketing news and analysis" blogger, I'm going to provide some guidance for those of you who've found my site due to your interest in buying this HP (NYSE HPQ) printer going on sale at Staples tomorrow. First off, at least at my local Staples, the printer is in stock and for sale NOW (Saturday March 3rd) at the advertised price of $199.98, even though the ad says the price is effective starting tomorrow. Secondly, where do you read about the product, since it's a Staples exclusive and thus not reviewed anywhere on the web? (In fact, my blog, jimlyonsobservations.blogspot.com, is the ONLY English-language site that comes up when the printer name is entered as a Google search!) Let me try to help. The publication that carries my monthly column, "Observations", is The Hard Copy Observer, and in their February 2007 issue, they carried extensive coverage of HP's K5400 "family" of printers that were announced early in the month and replace the HP K550 inkjet printers. But like this blog, The Hard Copy Observer is a publication mostly for printer industry insiders, and (unlike this blog) it's not available on the Web. It's a print-ohly publication and costs $650 a year, which is a bargain if you're an industry insider, but not if you're a consumer or small business person debating whether or not to spend $200 on a printer! HP's own web site has a press-oriented description of the K5400 series including an "available in March" statement. The product descriptions don't go deep and of course they're not reviews. Nor does the HP site include specifics about the K5400tn or K5400dtn, let alone the Staples-exclusive K5400dn. Cnet, in their reviews section, lists the HP K5400, K5400tn, and K5400dtn but has no reviews yet and shows VERY limited availability (MacMall only). So what's my shopping advice outside of visiting your local Staples and taking a look? Cnet (and other sites) carry reviews on the K550 and related printers from HP so that would be one place to start. Please comment below with other sources of information and even more critically, your FIRST HAND INFORMATION. Thanks! Ok, so bloggers blogging about blogs is one of the worst of all possible violations of blogging etiquette and also potentially a huge yawn (see above) -- I admit it! But every once in awhile I just have to do it. So I'll make this short and since it's Friday afternoon maybe I can get away with it! Our hometown newspaper, the Idaho Statesman, has a Page One story today on business blogging that I feel part of for several reasons! One of the featured agencies, Blueline Grassroots Marketing, helped me get started on my "serious" blog just a year ago, at the conference mentioned in the piece. So thanks Blueline! And Cendesic Marketing provides some great business blogging tips in the sidebar -- I should know, I helped craft and test them, along with Cendesic's founder, Oliver Fritsch! In the spirit of full disclosure, in addition to my journalism/blogging activities evident here, I'm a partner with Cendesic. 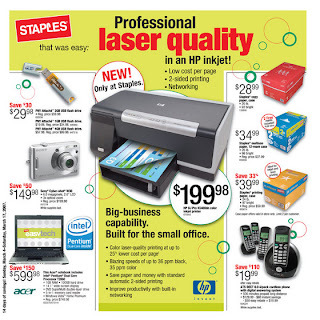 The teaser email from Staples this morning reads "The New HP printer only at Staples" and I quickly zoom into the Staples Inc (NASDAQ SPLS) ad. Good March 4th - 17th, the online advertisement indeed features a great-looking HP (NYSE HPQ) inkjet printer with "professional laser quality", the HP OJ Pro K5400dn color inkjet printer, and touts 25% less CPP (Cost Per Page) that the fine print explains is compared to under-$500 color lasers and under-$250 mono lasers, by Current Analysis in July 2006. Also included in the fine print is that the color ink cartridge is not included in the $199.98 price for the OJ Pro K5400dn. Once again, the news from Dell Inc is not so good, though not so bad either, in the earnings announcement for their 2006 Fourth Quarter announced after yesterday's market close. They missed on revenues and had a big drop in earnings, but the stock is actually reacting pretty well at mid-day today, among a minority of tech stocks up a bit in an otherwise ugly market at mid-day. News on printers? Not much. They're altogether missing from the corporate press release, but the Reuters piece by Philipp Gollner summarizes Dell's position vs HP (NYSE HPQ) as follows: "It lags HP in the fast-growing markets of notebook computers, consumer PCs and printers." This is a bit off the direct printing/imaging beat but I have to report on my experience with a mobile phone message transcription service I'm trying out, with pretty good success, from Simulscribe. My voice messages (up to a minute in length) are transcribed and then quickly emailed to me, which is handy, because I'm often more "at one" with my email via one of my many computers than I am with the mobile phone. So far so good! Listen to the NPR morning edition guys talk about it (from Monday February 26, 2007). I highly recommend the read, but let me add my take on the answers to three questions the authors pose (and then provide their own answers). The authors' premise is that the answers to the three questions are critical to Eastman Kodak Company's ability to succeed in pulling off a "classic low-end disruption" with their newly announced inkjet photo printers. "Do available products overshoot existing customers' needs?" Christensen and Anthony answer in the affirmative, citing evidence of this in the growing share of third-party ink products. Basically this says that today's inkjet photo printers print quality has reached diminishing returns -- the quality of photos printed is MORE than good enough for most consumers, and they're willing to trade down a little bit to a lower level of print quality for a much lower price. Actually I see it as a bit more complicated, with cost as only one factor. In my home, photo printing is losing out to much-simplified, fast and cheap out-sourced printing (eg HP (NYSE HPQ) and their Snapfish/Walgreen's connection), unless I need one or two quick prints. And I do this to save hassle and conserve my ink -- not because I'm so worried about the cost per print but I don't want to run out of ink too quickly, again, because getting a new cartridge and installing it is a hassle. I want fresh black and color ink ready to go for that next one-to-two-photo print job! "Will companies like HP copy Kodak's strategy?" This is a very provocative question, as the authors explain the importance of profitability in the whole strategy and how Kodak will be better off if competitors don't follow them into this new cheaper-ink model. (Seems like a pretty basic conclusion but again, the rationale by Christensen and Anthony is very thought-provoking). Indications so far are that market leader HPQ (see transcript link in my HPQ analysis post for CEO Mark Hurd's comments) is taking the high road and not planning on following Kodak. I'll bet on others do follow EK, even if HP does not. "Will success expand the market?" Although the authors suggest otherwise, I can't see it, at least in terms of long-term growth. (The idea here is that a market expansion is less hurtful to the competition.) My opinion is based on my belief that IT'S NOT ABOUT THE NUMBER OF PENNIES PER PRINT. Ease-of-use issues still hold back home photo printing, especially when alternatives or substitutes (including options that DON'T INCLUDE PRINTS) become much easier and more accessible. See my comments under question #1. That's the conclusion of the authors. I am less optimistic than they are, although I commend their thoughtful analysis!